Dr. Snyder is a certified medical thermographer and was the 1st to introduce Medical Thermography to South Florida over 20 years ago. In July he upgraded to a new STATE OF THE ART INFRARED CAMERA that provides the most accurate and sensitive scans available today. We have a female tech that does the breast and full body scans, which are then emailed to the top rated and oldest ELECTRONIC MEDICAL INTERPRETATION SERVICE, where doctors who are certified medical thermologists, read the scans and send back a full written report, much like the radiologist reads and reports on Mammograms. Now most thermography centers just hand you the report with no one capable of interpreting the highly technical MEDICAL TERMINOLOGY. We book a 30 minute consultation with Dr. Snyder so he can make sure you fully understand the report. All of this is included in our basic fee. Thermography or Digital Infrared Thermal Imaging (DITI) an FDA-approved, non-invasive scan, is often used to complement the generally recommended mammography, which can have potentially dangerous radiation effects. An infrared scan of the breast can provide earlier detection of breast disease than has been possible through breast self-examination, doctor examination or mammography alone. 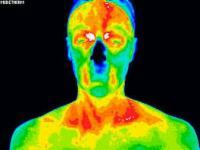 A thermal image of the whole body is also a good way to evaluate levels of inflammation throughout all body systems and provide an indicator of proactive steps to stop or treat it. A breast DITI takes about 15 minutes and detects the subtle physiologic changes that accompany breast pathology, whether it is cancer, fibrocystic disease, an infection or a vascular disease. It detects the heat that is created by massive cellular growth—the early stages of cancerous tumor formation. After having a thermography scan, recommended annually, you have a base line test on file that will show any unusual accumulation of cellular heat that can indicate that further study or tests should be done. Having a breast or body scan is the first step to assessing your long-term health and avoidance of disease. The scan is then sent to a lab for reading and the results are sent back to the prescribing doctor for interpretation. Proper interpretation is the Alternative Medicine Difference--many doctors who have recently started adding thermography to their practices do not understand the complicated reports and cannot explain the scans to their patients—or will take the time to do so. However, Dr. Gary Snyder can explain the results of your scan in a “user-friendly” way and provide information on alternative medicine methods to maintain maximum health and lay out a careful program to further diagnose and MONITOR you during and after any treatment that may be necessary. The Alternative Medicine Center is THE alternative to doing it “the way it has always been done.” Dr. Snyder stays abreast of the most current research and new practices and makes certain that each of his patients has a sound understanding of the methods and the reasoning behind them. It is time to get well and stay well! This quick and easy test…. This quick and easy test starts with your medical history being taken before you partially disrobe for the scanning to be performed. This first session provides the baseline of your "thermal signature". A subsequent session assures that the patterns remain unchanged. All of your thermograms (breast images) are kept on record and once your stable thermal pattern has been established any changes can be detected during your routine annual studies. All women can benefit from DITI breast screening. However, it is especially appropriate for younger women (30 - 50) whose denser breast tissue makes it more difficult for mammography to be effective. 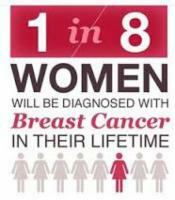 Also for women of all ages who, for many reasons, are unable to undergo routine mammography. This test can provide a 'clinical marker' to the doctor or mammographer that a specific area of the breast needs particularly close examination. It takes years for a tumor to grow thus the earliest possible indication of abnormality is needed to allow for the earliest possible treatment and intervention. DITI's role in monitoring breast health is to help in early detection and monitoring of abnormal physiology. Good thermal symmetry with no suspicious thermal findings. These patterns represent a baseline that won't alter over time and can only be changed by pathology. Baseline thermogram showed a slight hyperthermic asymmetry in the upper right breast. The follow-up study at 3 months showed the pattern had become more well defined. Mammography was inconclusive. Significantly increased vascular changes. Repeat mammogram showed a small calcification (1 mm) at 1 O'clock. A lumpectomy was performed confirming a malignant carcinoma (DCIS). DITI is unique in it's capacity to visually record physiological problems and metabolic processes. DITI is non-invasive, non-contact and radiation-free. Finding the source of your pain with DITI will help your doctor accurately diagnose and treat your specific ailments effectively. 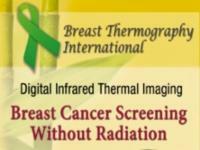 (Breast Imaging is included with a full body scan). 2640 E. Oakland Pk. Blvd.